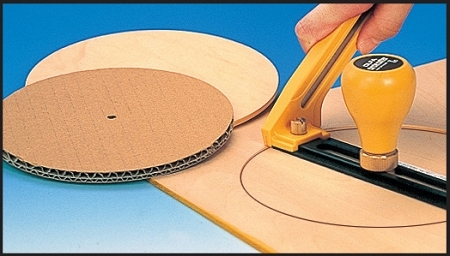 Cuts uniform 2.8" to 12" diameter circles in materials such as plywood, carpet, leather, corrugated cardboard, matboard, etc. whether thick or thin. 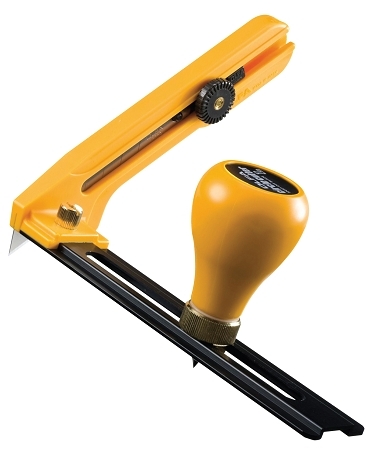 Blade and center pin are easily adjustable for depth according to thickness of materials. Built-in blade snapper. Supplied with snap off blades. Uses LB, LBB and LSOL replacement blades.